OH&S legislation requires workplaces to ensure appropriate First Aid kits are easily accessible and remain adequately stocked at all times. 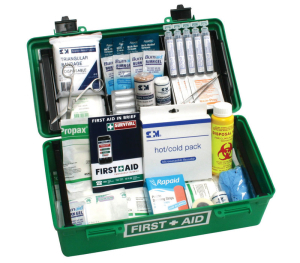 We make it easy to keep your First Aid kits stocked and compliant with current workplace guidelines. Help you be proactive and able to manage emergency’s. Working with you to ensure the most cost effective process. Reporting and replenish your kits. LifeAid will also provide you with a First Aid kit checklist that incorporates an order form. This allows you to check and replenish your own kits. To place an order you can email, phone or order on our online shop. Allow us to assist you to maintain your emergency preparedness.